We have a winner for the social media food photography contest. 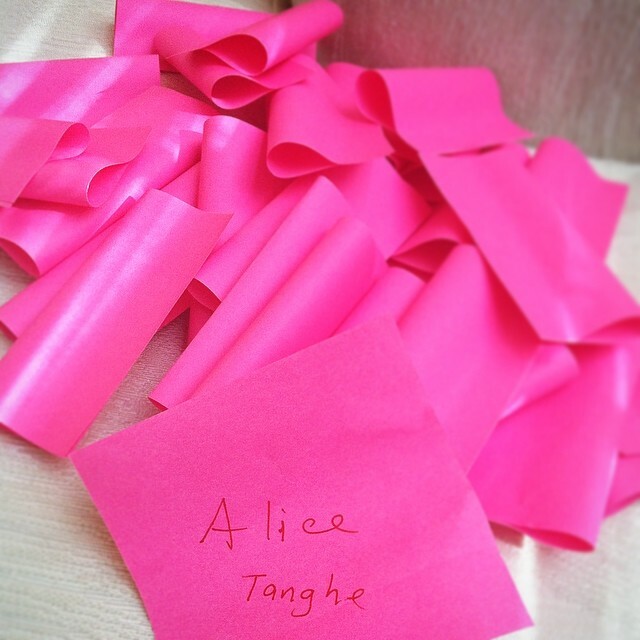 Congratulations to Alice Tanghe who will be dining with me and super awesome fellow bloggers on Sunday at New Market BBQ. Thanks to all that participated. Photos of all the yummy dishes are coming. Hello North Alabama Folks! I’m very excited to be participating in Alabama’s Restaurant Week! Sorry, you win free lunch with me not Lola the adorable doggie. In celebration I am holding a food photography contest. 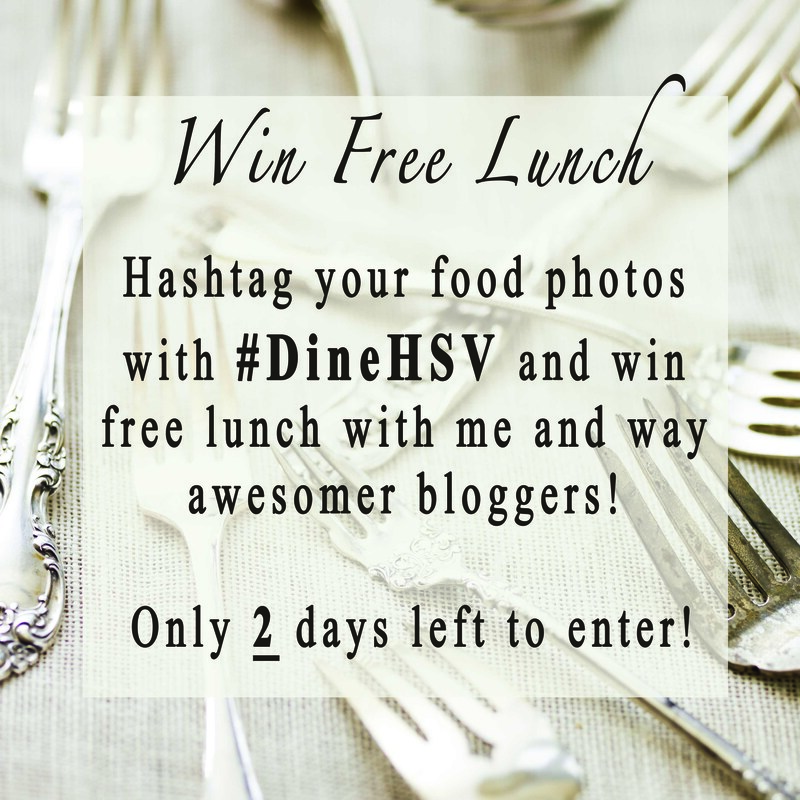 Post to your social media platform of choice food photographs (that you have taken) with the hashtag #DineHSV and tag me in your post from now until August 12th (tomorrow). The winner will get to have lunch with me and fellow bloggers on either Saturday, August 16th or Sunday, August 17th (your choice). The contest in open to all so feel free to share this post with any foodies wanting to participate. Disclaimer: Though open to all I will not pay for airfare, so faraway folks keep that in mind. If non-Alabama residents want to participate I do have a less fabulous, but still awesome prize of blueberry muffin mix. Can’t wait to see your yummy food photos. I’ll post them on the blog next week so you can see them all! 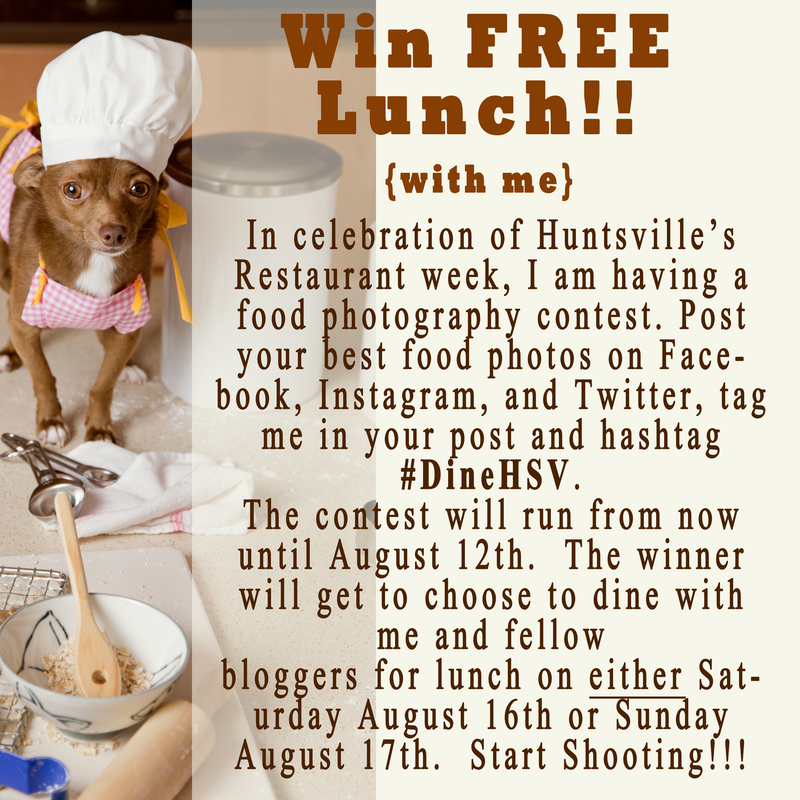 Categories: Food Review | Tags: alabama, alabama restaurant week, free lunch, huntsville, North Alabama, restaurant week | Permalink. Well that would be fun but don’t think I can make it to Alabama. Great contest hope you will post the pics. Dang! 😉 It would be fun. I’ll post pics super soon.